Expert in our field – client orientated, resourceful and imaginative – welcome to our Firm. Our Firm was established in 2010 by Mr Omar S. Hameed-Ud-Din, who is director and sole principal. 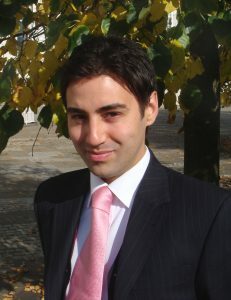 Omar is a solicitor with an extensive professional experience in our practice areas. He has acted for a hugely varied range of clients and brings to bear his professional experience of practice in both multi-disciplinary firms and large City litigation departments. As a niche practice, we concentrate on providing a few core private wealth services surrounding the strategic transmission of wealth to successive generations, and in the various contentious issues that can arise in these areas (for example in relation to inheritance disputes, matters of testamentary capacity and 1975 Act claims). Our client base is diverse; we’re equally at home dealing with straight-forward matters, as we are with multi-faceted cases involving complex and international elements. We’re innately accustomed to the concerns and realities of our private clients, and pride ourselves on offering a truly client focused approach.